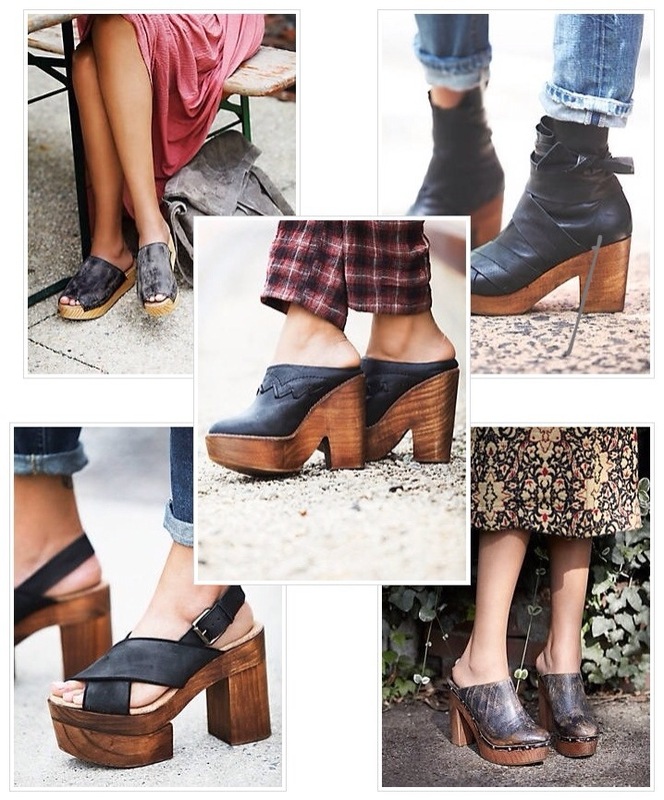 When I was a young girl, I desperately wanted a pair of clogs. I remember going to our local shoe store, The Footbridge, to try on a pair. Alas, my feet were too small and so it was no clogs for me. I’ve recently become obsessed with them again, thanks to Free People and their fantastic assortment. The leather is supple, the wood is gorgeous, and they are the perfect shoe for transitioning from summer to fall (not that I’m in any hurry for the leaves to start changing). Here are my favorites-how can you not love them?!?! I love clogs too. I really wanted the Blue ones at Footbridge when I was small. What brand were they?? I know right! I love clogs! Everyone else seems to disagree….